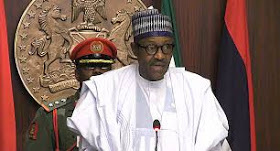 President Muhammadu Buhari said Monday that he will continue to guarantee an equitable and fair distribution of appointments among the 36 states of the federation. He made this promise during an interaction with a delegation of leaders and elders from Akwa Ibom who visited him in the presidential town of Abuja. "I have taken note of your appreciation of appointments in the Federal Service of your state. "I assure you that I will continue to be fair and equitable in federal appointments in every state in the country," Buhari said.